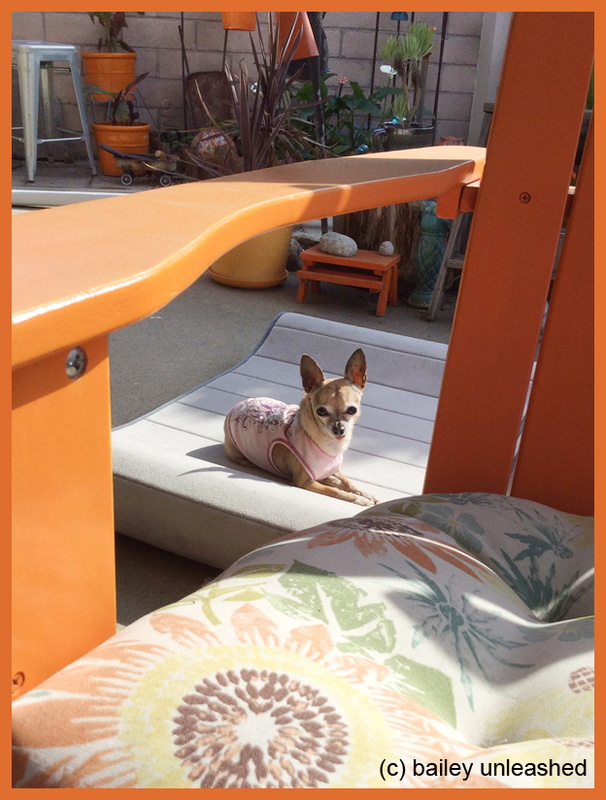 my adirondack chair makes a perfect frame for little bailey as she sunbathes on our back patio. Labels: adirondack, backyard, bailey, orange, photo by j. You look so pretty in the middle of all that orange.